The legal profession was and remains in demand at all times. But not every person who dreams of becoming a lawyer will be able to become popular and well-paid specialist. Nowadays there are a large number of higher educational institutions that produce experts in law. Some of them are specialized – for example, the legal Academy, but for the most part, the law faculties and departments of various humanitarian institutions. Educational institutions offer full-time and extramural form of education, and departments of accelerated training, which has recently entered the education system – they usually accept applicants who have graduated from specialized colleges and technical schools. As early as possible to decide on specialization, you want to do, and explore all of the industry with which it will RUB thematically. To learn how to filter information, namely, to understand what is really important today, to follow the news in the legislation, be aware of the entry into force and cancellation of normative legal acts. To be precise, as in mathematics. Be able to confidently refer to specific facts and citations of law. But remember, this doesn't must mean that you need to memorize by heart all the wording of the laws and the articles of the code. You just need to learn to think systematically and to know where to find the answer to the question. Start practicing and to learn a profession best still in the process of learning: even if you are not yet normally will be able to show themselves and to demonstrate their abilities, but you will get invaluable experience, get his feet wet in the environment in which you will experience after graduation. And most importantly - you will already have some work experience, which will play a big role in employment in the specialty after graduation. Try to frequently communicate with experienced lawyers, revolve in a circle, listen to stories from their practice, analyze, learn from their invaluable experience. This will help you quickly integrate into the sphere of jurisprudence. All kinds of forums on the Internet, relevant blogs will also help you. 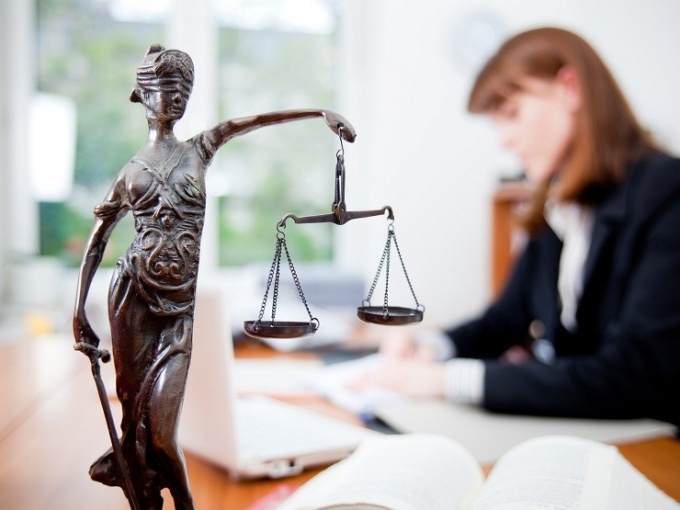 The profession of lawyer in recent times is a prestigious and popular. Graduates who have received this specialty is in demand both in politics and in public life, and at work. It is impossible to become a lawyer without special higher education, extensive knowledge in the field of legal Sciences and law. Main activity of lawyer any type of control over the observance of legislation and protection of rights. This implies a thorough knowledge of all laws and regulations, as well as the ability to apply existing knowledge in practice. And this, in turn, means the presence of personal qualities such as good memory, ability to think logically and Express their thoughts, perseverance, thoroughness, sociability, ability to track causal relationships and have a good stage presence. Without these qualities a law degree is only proof that you have received basic knowledge in law and legal organization. To become highly skilled and therefore highly paid and sought-after lawyer, you need hard practice. Like medical professionals, lawyers spetsializiruyutsya in various areas of law. The typology of this profession is quite extensive, it includes notaries, lawyers, legal advisers, judges, prosecutors, practitioners in various fields: taxation, criminal, civil, military, etc. in addition, lawyers are in demand in businesses where they practice, not only in the field of labor law, but also protect the commercial interests of the organization. Depending on the typology differ in their duties. For example, lawyers shall ensure the legal protection of citizens ' interests in courts or other authorities. These people are independent representatives of the Law and its activities are guided and answer only to him. Lawyers may not be serving in any public or commercial structure, the only exception is the creative, scientific or teaching activity. Notaries can be at the service of the state or have their own private practice, in this case, their activities are regulated by license. For a notary are fixed certain powers for the implementation of certain activities – registration and certification of civil documents and copies, consultations, etc. The independence of judges, their immunity and irremovability enshrined by legislation. They have full judicial power, subject only to the country's basic law – the Constitution and Federal legislation on behalf of the state administer justice, control the execution of the laws. They can not engage in commercial activities, run for Parliament or be members of any political party. Legal advisers working in enterprises of different ownership forms. They provide legal assistance and support of the organization's activities, advise in civil legal matters, participate in the preparation and the development of local regulations, work with claims and represent the organization in courts.